Locksmith Hawk provides specialized services for auto door unlocking, particularly in emergency lockout conditions. We provide emergency car locksmith services in Greater Neck. Our auto locksmith services comprise of all brands and kinds of auto ignition keys, lock-ins or lock outs, car ignition, and many others. Our auto locksmith experts could fix any issue that may come forward with the ignition key. It just takes a couple of minutes to repair most transponder key issues. 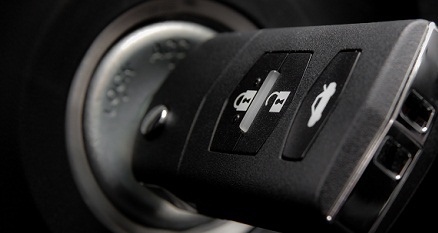 Our emergency car locksmith service is available 24 hours a day and 7 days a week. Our well-trained, licensed car locksmiths are always attentive on high quality and first class car locksmith Greater Neck service. They could gain access to the newest technology and tool on hand today. Want a key replacement or extra keys? Your key break off in your ignition, Locksmith Hawk offers fast and accurate car locksmith service done on-site. You shut the door of your car and close it, just to realize the key is still inside your auto. It is a terrible feeling- and could even be an overwhelming situation- however it does not have to be. Locksmith Hawk offers you with 24/7 car locksmith Greater Neck service to address the situation safely and fast. It doesn’t matter if you lost your key, locked inside or broken,we will dispatch a skilled locksmith right away to allow you to get back on your way. With regards to unlocking your car, we offer the best, most reliable and fastest car lockout service 24/7, even during holiday- all at a fraction of cost and fully bonded and insured. Locksmith Hawk is professional in auto door unlocking through offering our clients professional, fast service at a fraction of cost. With well-trained locksmiths and advanced tool we assure our car locksmith Greater Neck service and customer satisfaction. Efficiency, timeless and reliability are the Locksmith Hawk trademarks. Our expert car locksmith service is organized by a computerized technology that allows our locksmiths to do accurate and damage free car locksmith service. Our 24/7 car locksmith service is set for you and always available in case you need an instant service, anytime and anywhere you are in Greater Neck. Choose skilled, experience as well as stability, choose Locksmith Hawk, our dependable and prompt Locksmith service is only one phone call away. For solutions and answers to your car locksmith Greater Neck needs, contact us at (516)-268-6415, or visit us online.